I left my hometown in Northern Germany 20 years ago to live in the UK. 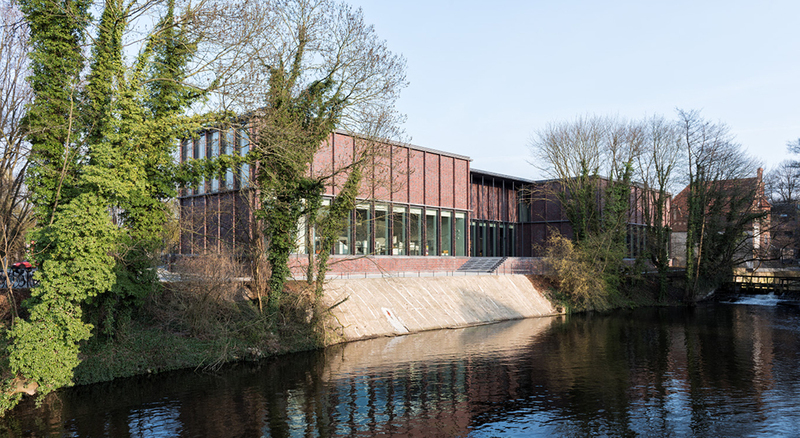 It has been interesting to watch the changes in Lüneburg from afar – from the re-development of the small local university into Leuphana to the integration of the town into the nearby city of Hamburg’s transport system. 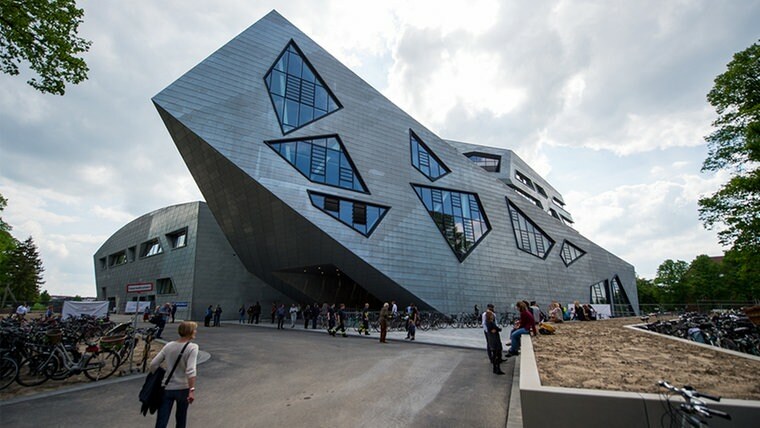 Two building projects have recently been at the centre of attention: an extravagant and pricey central building for Leuphana University designed by US architect Daniel Libeskind, and a new museum of local history that brings together natural and human history. This year, I finally managed to visit both, and, a few weeks ago, I had the luxury of having the museum to myself for one whole afternoon, while people were out doing last minute Christmas preparations. I was curious how the museum connected the different aspects that made the town, and was not disappointed. Image: Leuphana Audimax. Source: NDR. Museum Lüneburg joins an existing landscape of museums in town that include the German Salt Museum (the town’s wealth was based on salt, an important food preservative in the Middle Ages), the Northern German Brewery Museum (did you know that sociologist Niklas Luhmann came from a family of local brewers and owned a pub?) and the controversially titled East Prussian National Museum (the town’s population doubled with refugees from this region after WW2, including some of my own family). 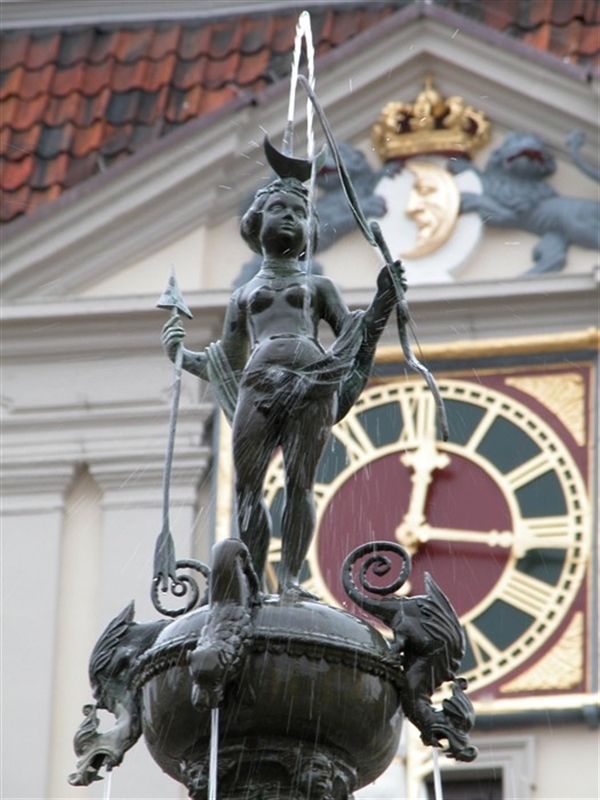 It brings together the collection of the former local Natural History Museum and the Museum of the Principality of Lüneburg that were both previously combined in a ‘Knight’s Academy’ collection that was used to prepare young 18th and 19th century aristocrats for university. Conceived in 2007 to update the presentations of the museum contents, the new and rather beautiful museum was finally opened in 2015. From the UK, I was used to not paying for public museums, so I accidentally walked in without going to the information desk first. After being politely alerted to the entry fee, I purchased a ticket – and delighted the museum worker by telling her that I was from abroad (“this will look great in our statistics!”) – phew! The 8 Euros turned out to be rather good value for money, considering that I spent three hours trawling through two levels (thankfully, entry is free for under-18s and students, and there are a variety of discounts). I was actually surprised how long I spent there, considering that I was familiar with much of the material. I could easily have spent more time there, but the building was closing for the evening. So, what kept me fascinated for so long? First of all, I really loved the combination of big and small narrative arches. To me, the museum managed to shuttle back and forth between natural and human history, and between references across time. I emerged from the tour with an uncanny sense that everything is now, rather than somewhere located in the past. The earth had shoved together this strange place, and we’re still (badly) managing what’s underneath and around us. It very much felt like walking through a local version of Manuel DeLanda’s A Thousand Years of Nonlinear History. Image: Lüneburg on the move! 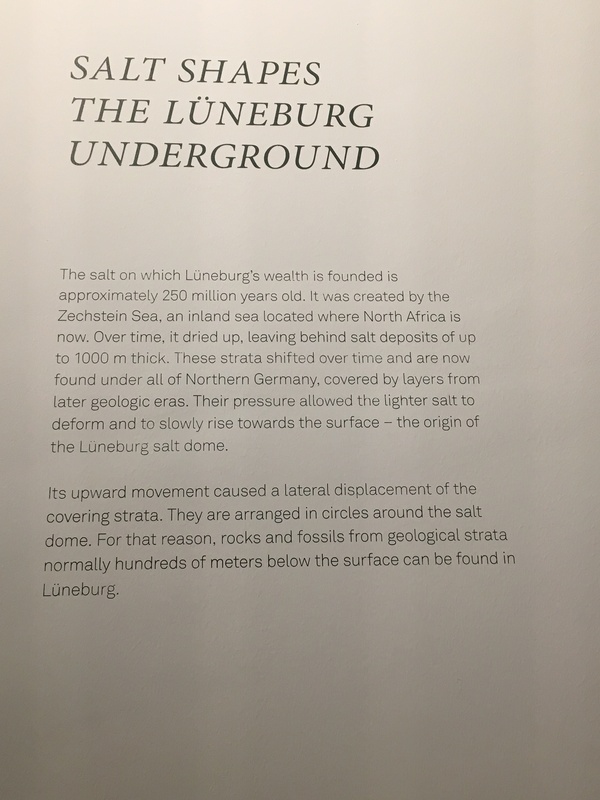 The exhibition began with geological history and especially drew attention to the formation of the salt domes that the town is famous for. 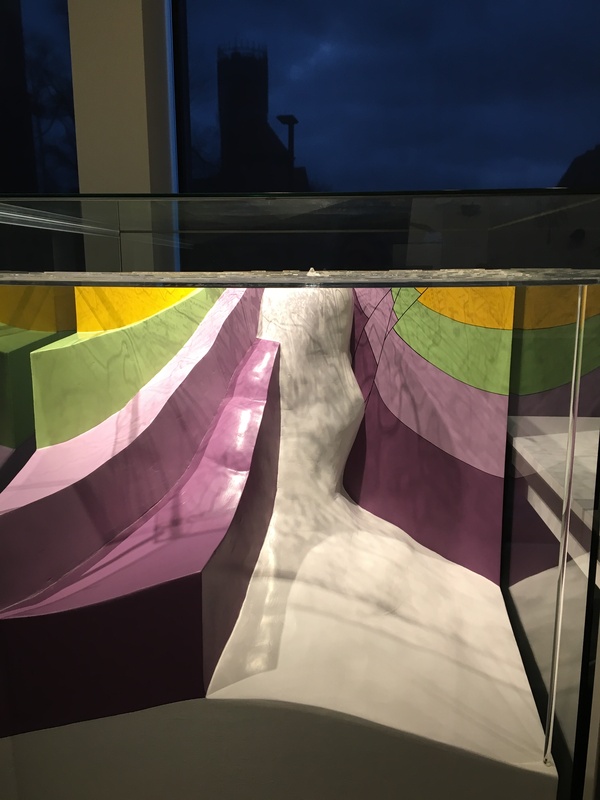 I especially loved the 3-D model of the town with its geological layers underneath (photo at the beginning of this post) – a very humbling experience. I also liked the many framed cross-sections and ground formation models, some of which illustrated movement over time as well as the current state. The following section introduced local wildlife and showed past and present occupations such as shepherding and river pearl harvesting. Due to the town’s dependency on the salt production, which required copious amounts of firewood, the surrounding forests were decimated so badly that an entirely new landscape developed – Lüneburg Heath. Add to this peat production from the local moors, and you might understand how, for centuries, the outskirts were shunned as a bleak desert. However, with the rise of Romanticism, the landscape became reinterpreted to such a degree that it started to give rise to a tourism industry. 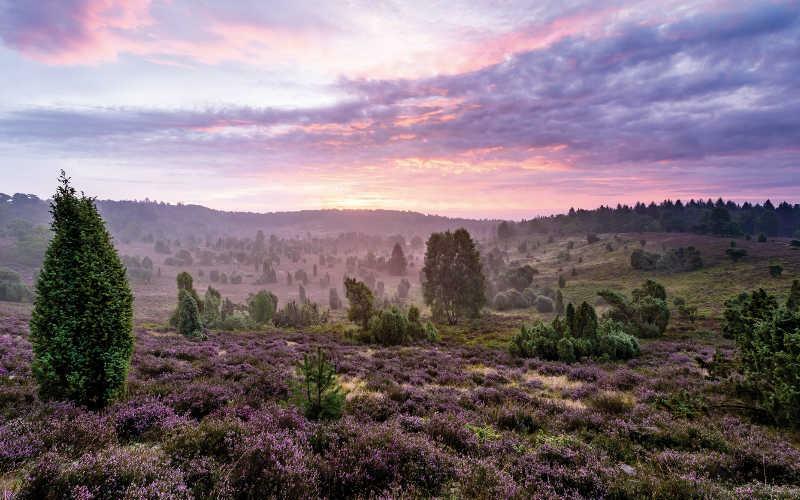 Many German Heimatfilme are set in the Heath and its sheep filled purple bloom, and there is also a new soap opera called ‘Rote Rosen’ (Red Roses) set in the town, so the tourists keep on coming. Image: Recent touristic portrayal of the Totengrund (dead ground/grounds of the dead) on Lüneburg Heath. The next section was dedicated to local power struggles and how these tied in to wider dynamics – struggles between centres and peripheries, nobles and burghers, Catholics and Protestants. Brutal changes marked local developments, including the destruction of the town of Bardowick – an extremely powerful place in the Middle Ages, but unwilling to cooperate with Henry the Lion who practically erased the place in response and granted the tiny village of Lüneburg town status instead. Local myths were folded in, too, such as folk heroes, a strange moon cult around the market place’s water feature, and the mysterious appearance of materials from the Middle East. 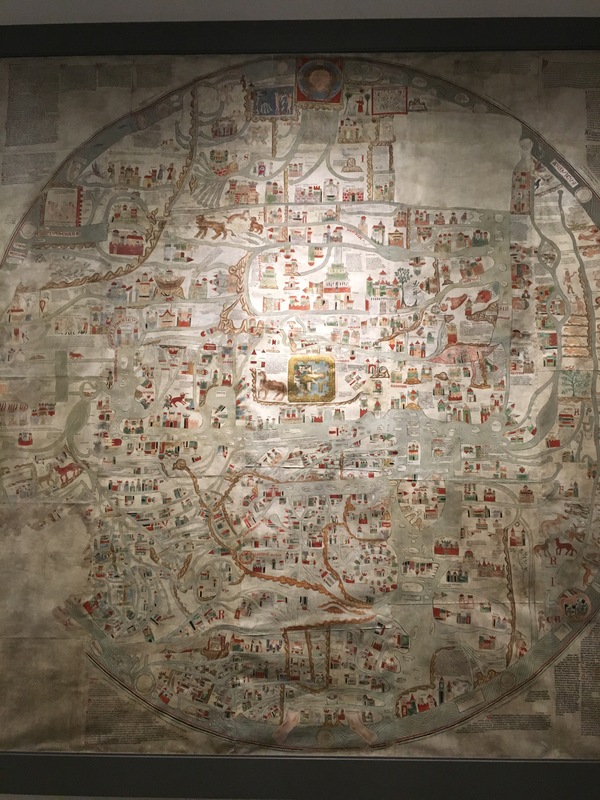 Education and knowledge was also a big topic, since the area was littered with monasteries, one of which was responsible for creating the 13th century Ebstorf Map. As in many other places at the time, a new relationship to the world was formed, which not only resulted in new maps, but in new scientific instrumentation and ordering systems. The final section then brought together more recent history with everything else that had gone on before. Pottery and other artefacts from various ages and people gave the impression of an on-going familiar domesticity, not just across time, but also across different human species and other cultures. 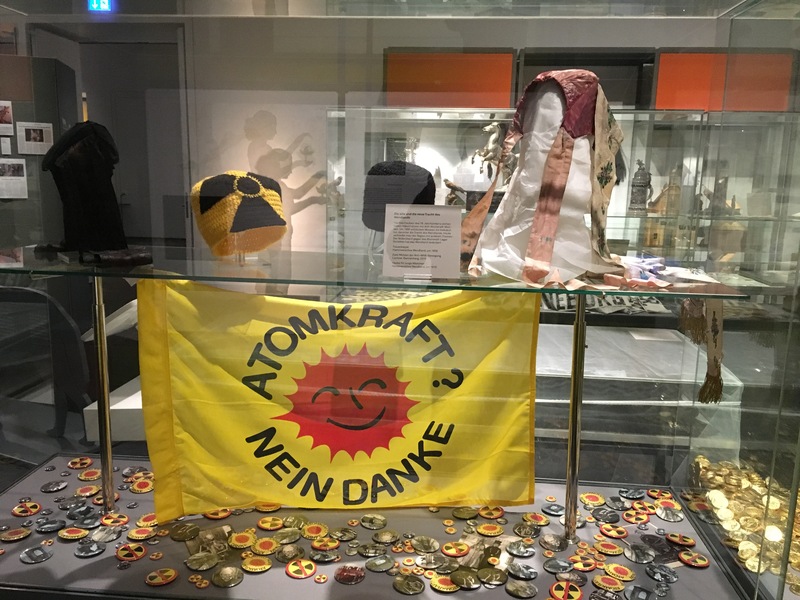 For instance, traditional headdresses from the Wendland area were juxtaposed with anti-nuclear protest versions of those hats (see image above), since the salt domes are now being used for nuclear waste storage. In the same section, the story of the Heath from desert to tourist destination was treated in more detail, but also the Nazi’s use of medieval and pagan traditions to forge local culture (such as a barrel race on horseback through the town). 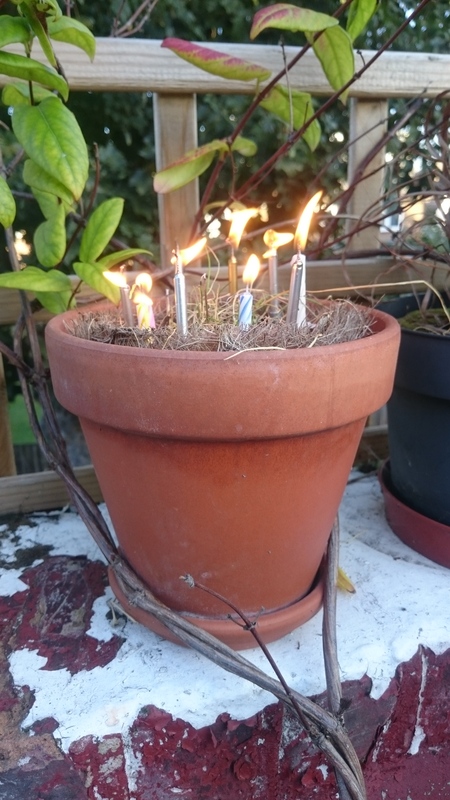 The heavy uptake of ‘pagan culture’ amongst neo-Nazis still makes celebrations such as winter or summer solstice celebrations problematic – celebrations that tend to have very positive connotations in the UK (when I tell my friends in Germany that I went to a UK friend’s solstice celebration, they look at me in shock). The museum’s dealings with the local National Socialist past was particularly engaging, despite the comparatively small space dedicated to it. A 3-D town model built by a local Social Democrat politician and Nazi opponent was used to narrate the history of over 20 sites of Nazi crime. 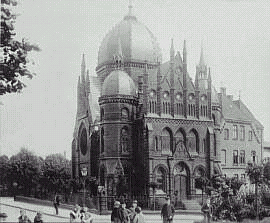 This included the destruction of the enormous local synagogue and the persecution of its congregation, the transformation of a progressive mental health clinic to a euthanasia programme, but also many small, insidious ways such as charity, local history and sports programmes, which helped Nazism gain such popular following. Remarkably, quite a few of the artefacts and description implicated existing local families, businesses and politicians, to show how horrific events from the time still benefit the perpetrators and the local population. 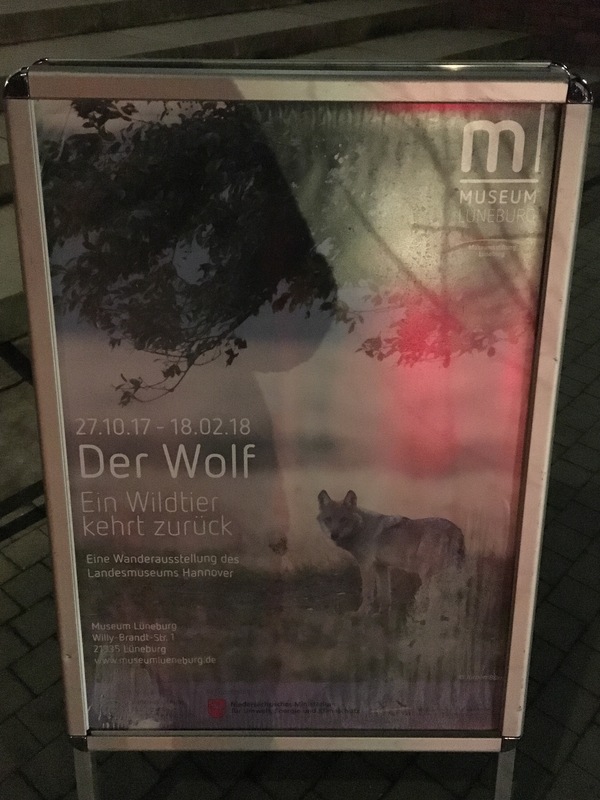 Following on, a temporary exhibition gave information on the rewilding debate – the reappearance of wolves and other previously disappeared animal species in the forests. In a mostly rural area such as that surrounding Lüneburg, the debate is almost bigger than the refugee debate, although themes tend to overlap: do wolves contribute to keeping the local deer and wild boar population in check that is spiralling out of control due to biofuel related monoculture? Or do wolves ‘not have a place in Europe anymore’ and ‘should stay in the East where there is more space, and they can do whatever they want’? 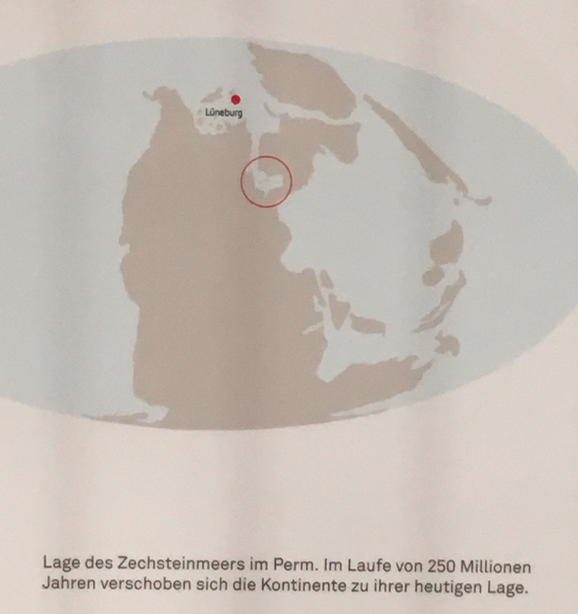 Sadly, I did not have much time left for this exhibit, but I think that the museum did not seek to make the natural and human history connection here. This uncomfortable intersection, however, made me wonder whether the museum could highlight some of the international/cross-cultural connections of the town, in particular in connection with the refugees debate and the high occurrence of mostly Asian ‘mail order brides’ in rural areas. Are people, things and practices from other places really a new phenomenon (e.g. where do those “German potatoes” really come from? ), or is Germany particularly good at erasing such influences? The manifold attempts across German history at suppressing Afro-Germans come to mind, but also early Middle Eastern influences. Coming from a family with a diverse ethnic background, and from an area of town with a high immigrant population (Kaltenmoor) that is frequently portrayed in the media as a ‘social problem area‘, some of the exhibits that implied outside influences made me wish to probe such connections more deeply. Apologies for the long radio silence, but a lot has been happening behind the scenes. First of all: Mutable Matter is ten years old today! I started this blog on 24 September 2007 as part of my Open University PhD research and because I wanted to communicate with OU students and people beyond academia. I also wanted to experiment with writing and communication styles, and to show how our imagination of matter manifests in different spaces. 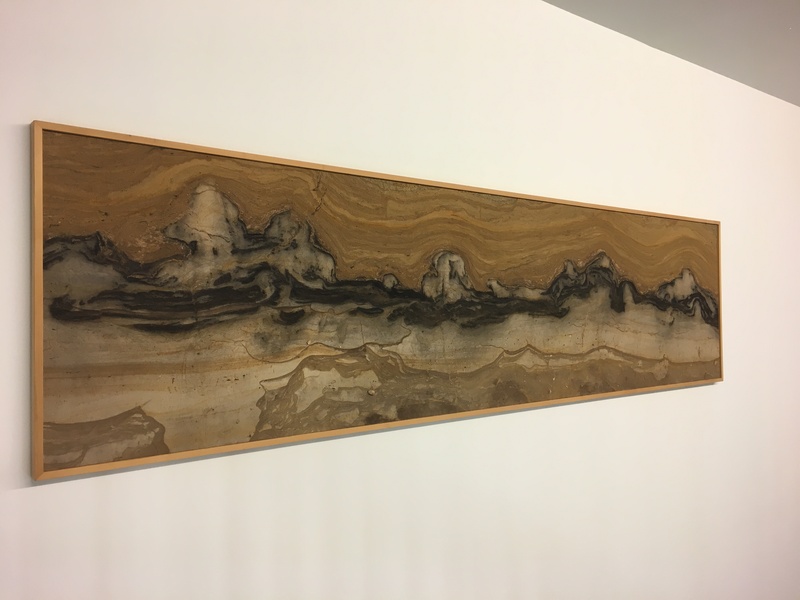 Initially, the blog focused more on the material processes at ‘invisible’ scales such as the atomic and molecular scale, and how these affect the geographical imagination. Since then, the blog has kept morphing and moving across a diversity of on- and offline spaces, and has never been short of providing me with surprising encounters. An enormous thank you is due to all my readers and subscribers. Thank you also for all the feedback over the last ten years. From January 2018, I will be starting a lectureship at the University of Leicester, in the School of Geography, Geology and the Environment. The post has a focus on the geohumanities, and am looking forward to some exciting teaching, research and other creative experiments with colleagues from different disciplines. I am also working on two books, one on materialism and and another one on Mutable Matter. I am also in the process of assembling a printed zine that is based around both publications and tries to make the work that I do accessible to a wider audience. Some exciting events are also coming up: the Mutable Matter/Warwick Social Theory Centre workshop Cosmos & Crisis: Interdisciplinary Conversations (funded by a British Academy/Leverhulme Small Grant) is happening this coming Wednesday and Thursday. It focuses on challenges to the Western worldview from different viewpoints. 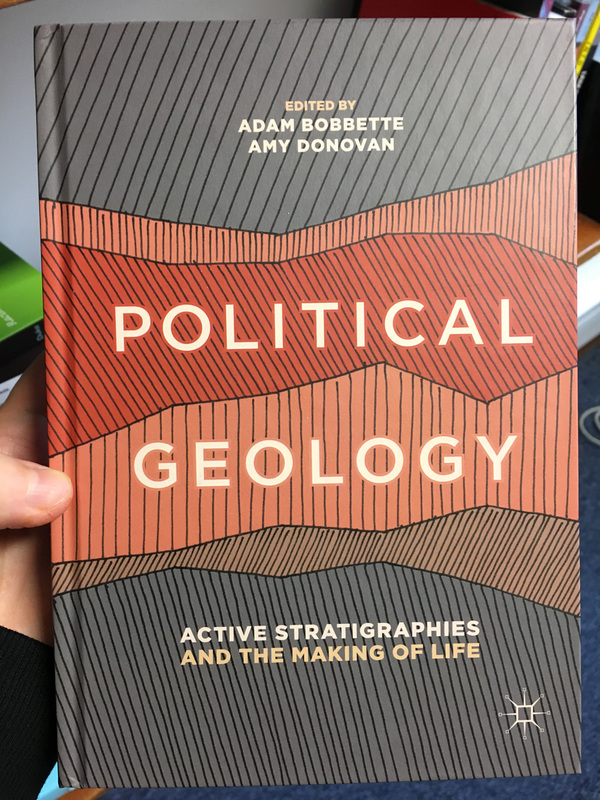 I have also been invited to present at two other events: the second part of the Political Geology workshop at Cambridge University on 17 November 2017, and at a workshop on experimentation at Oxford on 8 January 2018. And of course, there is Curved Radio, to which I keep contributing (many thanks to Gayle Austin for having me!). Two exciting things are happening at the RACE (Race, Culture & Equality) Working group. 1) Two of our members, Margaret Byron (our chair) and Parvati Raghuram (committee member) are receiving awards from the RGS-IBG on 6 June. Margaret is receiving the Taylor & Francis Award for the promotion of diversity in the teaching of human geography, and Parvati is receiving the Murchinson Award for furthering geographical understandings of mobility. 2) Our RACE teaching workshop has been confirmed by the RGS-IBG conference organisers. It will take place on the Tuesday of the conference and will be free to attend (no conference registration needed!). The workshop is divided into two themes: Race in the Curriculum and Challenging Exclusionary Spaces. We hope to see you there! You can register for the workshop on our Eventbrite page. At the moment, I mainly teach on the Research Masters at the University of Glasgow, which, of course, also involves teaching methods. I am very involved in debates around methods, both qualitative and quantitative, so I like to think that I’ve got quite a good overview. Last year, however, I was asked by a student how the content of my talk related to GIS. I hesistated for a moment – what did I actually know about GIS apart from having played around with Google Maps and read a few chapters here and there? Last week, I was given the opportunity to undertake five days of intensive GIS training with my colleagues Jane Drummond and Syed Ali Aqdus. The course included a mixture of lectures and practical exercises that, indeed, prompted a lot of interesting questions about geographical methods and the intersections of qualitative and quantitative methods. In addition, Jane gave a lot of mind-boggling examples that she had come across during her long and varied career, from cartography to programming. Other examples of useful ‘civilian applications’ included the Glasgow City Council’s facilities locator and LIDAR mapping for biomass monitoring purposes. Especially the data collection examples (‘on foot’, aerial photography, satellite, thermal, laser, sound etc) reminded us of the diversity and messiness of geographical information that all somehow had to be brought into relation. Not only is the data itself problematic – but how do we can we process it all together? How can we ask and solve our questions with the kind of data that we have? And, how often do we not think, as human geographers, about the processing history of a map or of data that we are given? With my design background, I also found much of the problems encountered in image processing (e.g. through Illustrator and Photoshop) mirrored in GIS. Much of the GIS exercises (primarily conducted in Arc GIS‘s Arc Map and ArcScene), involved data conversions, e.g. 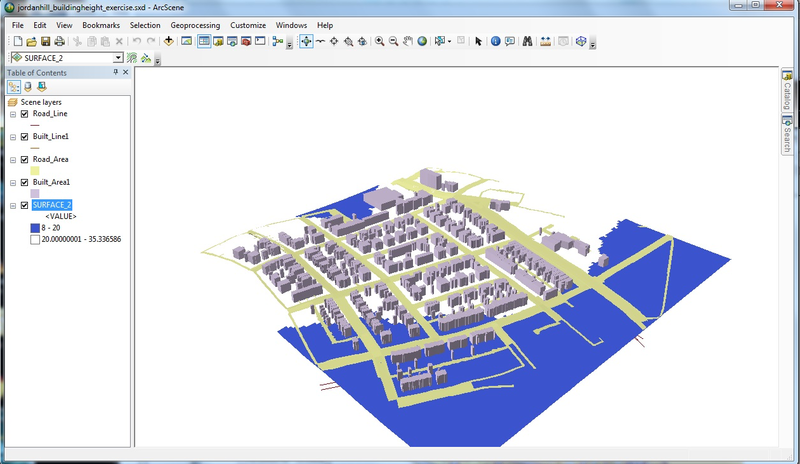 from tables to points, layers, features, or from vector to raster. Some conversion even involved surprisingly manual processing, akin to the lasso technique or filters in Photoshop. Jane showed us how badly data can be degraded through processing, but also how such limitations can be taken into account. Particularly drastic examples of error came from a lack of consideration for scaling. In order to make maps more readable in smaller format, landscape features have to be smoothed or simplified, and lines have to be thickened in order to make features legible. This is called ‘generalisation‘, and people are still looking for better methods of performing it. Here, Jane noted how mappers are subjected to increasing and unrealistic pressures over the time frame in which this considerable problem can be solved. Other points of error-related amusement came from misinterpretation of aerial data, resampling and interpolation hazards, lack of terrain knowledge, confusion of data quality and model quality, and misrecognition of building features by various programmes or processing methods. Many such errors especially came out during the 3D exercises, but also in humorous thought experiments such as a hypothetical search for sea monsters (which initially didn’t take the probability for finding sea monsters into consideration). We were also reminded how more mundane human factors play into the quality and accessibility of geographical data, especially the cost in hiring cartographers or data collectors: how much time and labour can be invested in a mapping project? Another interesting problem was posed through colouring and other aesthetic choices. While there are attempts at standardising colours and symbols for maps, there is still a great degree of liberty that can be taken to make maps look ‘appealing’, as Jane put it. One of the first things we learned in ArcMap, after getting a grip on the basics, was how to change colours and what to consider when changing colours (e.g. what might the colours represent?). For instance, when representing slope, many cartographers use a scale that starts with green and ends with white (green valleys, white mountain tops). The defaults often seemed to follow a completely different logic, leading to some rather displeasing or psychedelic renderings, which in turn led to many GOMA and ‘more-than-50 Shades’ jokes, as well as uncomfortable 90s flashbacks (especially in the distance map department – I wish I’d taken more screenshots now!). When preparing the map for presentation in the layout view, we noticed how much you could potentially direct decision-making not only through data processing, but also through seemingly innocent aesthetic choices. Here Jane had more examples of how she had experienced such situations in real life. What I appreciated about this course, in relation to my teaching, was that I now feel able to better look for resources, such as examples and reading suggestions, for my students. 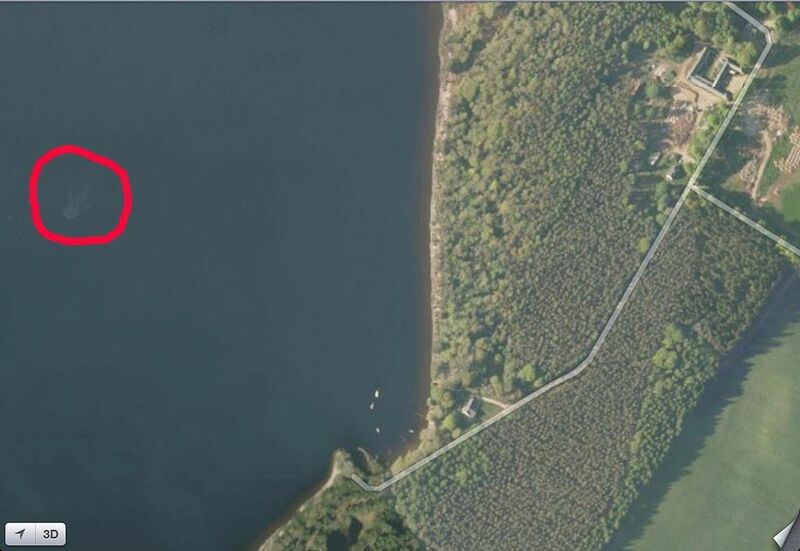 The problems raised by GIS are not only exclusive to GIS, so it is nice to be able to cross-reference issues. If any readers have any particular suggestions from their teaching or research experience, I would be grateful if you could put them in the comments!